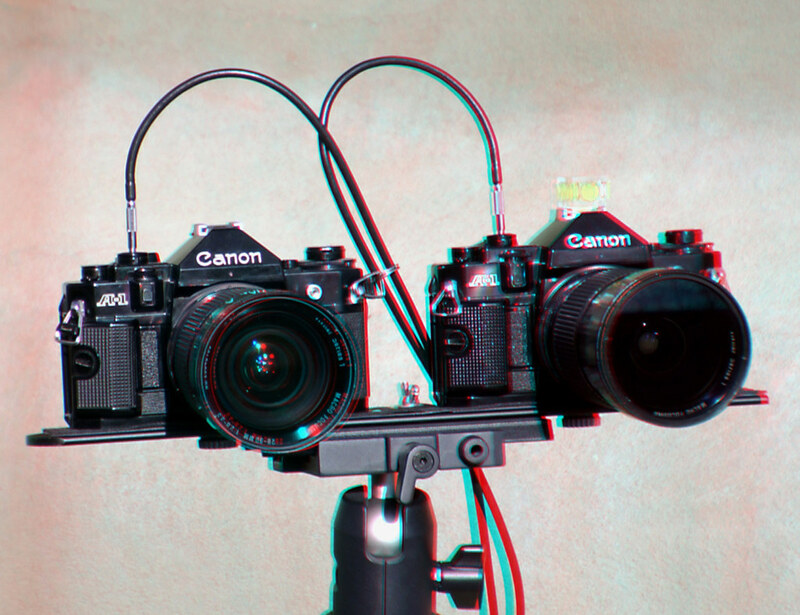 Jason Ordaz has a cache of classic stereo cameras. Stereo cameras have been around since the late 1800s. The Stereo Realist pictured above was one of the more successful and popular film stereo cameras that collectors still use today. Many people build their own stereo cameras by rigging 2 cameras together. The trick is to get them to operate in sync so they trigger at the same time. Specialty companies exist that make such cameras so you can buy a complete solution. These cameras are often know as rigs short for camera rigs. Additionally some clever people have figured out how to “hack” Canon point and shoot cameras via what is known as CHDK – Canon-Hack Development Kit. The CHDK has been used for many camera enhancements including StereoData Maker created by David Sykes to program the CHDK for stereophotography. It is free software that you can learn about and download from the SDM website. Interestingly, if you consider that cameras are run by internal computers, the CHDK loads files on the memory card and then the camera boots off the card instead of the internal memory to run an alternate operating system with many new capabilities. It is a great tool for do-it-yourselfers. Much of the enjoyment of this approach is in making the camera, at least as much as using it to shoot photos. Today we are lucky as modern digital stereo cameras have been released. Fujifilm was the first when they released the Real3D W1 in Sept of 2009 and then a year later their 2nd generation W3. These are all-in-one point and shoot cameras with a unique autostereoscopic display on the back that lets you see 3D without glasses. You even see 3D when you compose your image (or video!). In addition right after shooting you can view them in 3D and show friends for a guaranteed “wow” response. Since Fujifilm, a few more companies have released stereo cameras and more are expected. The Nintendo 3DS portable game system has 2 lenses and is a stereo camera with an autostereoscopic display in addition to being a stereo game system. For those who still prefer film, there is a modern film based camera – the 3D World Medium Format Camera. 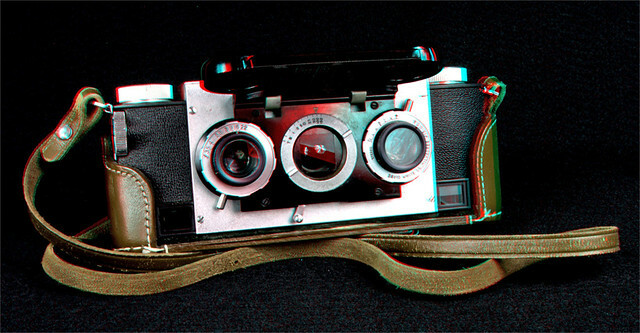 This is one of the finest stereophoto cameras available. However, film production and availability of processing companies is declining as digital takes over, which creates a challenge. There are also special 3D lenses for Digital SLR cameras which are another great way to go. Loreo makes a few products for SLRs. These types of lenses are also referred to as “beam splitters” as they typically have mirrors and use half the normal image area for each side of the stereo image, splitting the frame. The number of options for shooting stereophotos has never been greater. Enjoy viewing a few of Jason’s classic 3D cameras below. Jason S. Ordaz discovered stereo photography through the classic View-Master as a child, then later behind the lenses of a stereo camera as an adult. 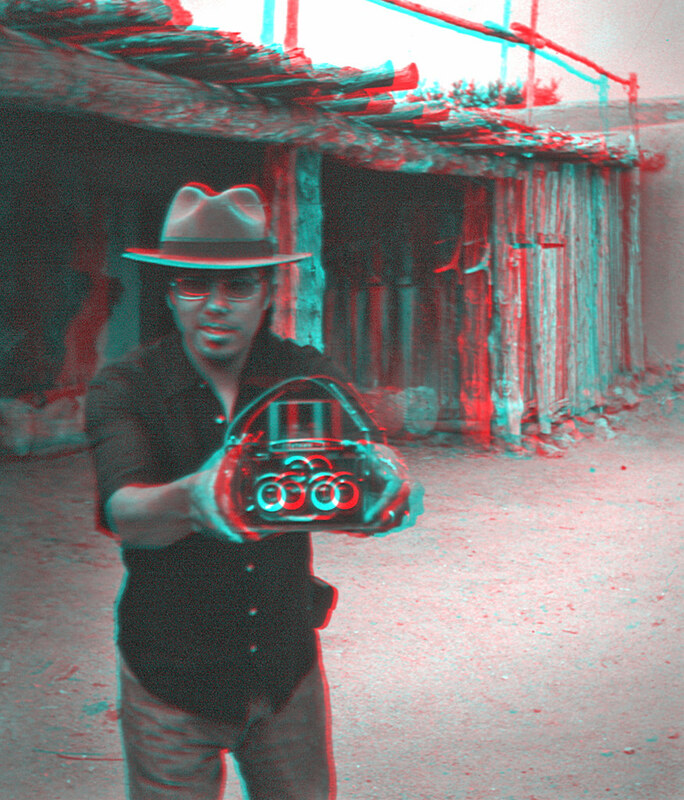 The stereo camera is best described in a 1953 Stereo Realist ad as “The camera that ‘sees’ the same as you – in 3 dimensions.” 3-D (also known as stereoscopy) is the way he chooses to photograph Southwestern landscapes, Pueblo ruins, and rock art. Photographing with his medium format stereo camera, he often utilizes infrared film, which yields surrealistic scenes of material culture in the American Southwest. Jason is on staff at the School for Advanced Research where he serves as photographer and multimedia designer. Jason is also active on Flickr with the screen name Zadro. I’m the proud owner of a 1957 Kodak Stereo camera. I’d love to have a way to make my shots into anaglyphs as you’ve done here. 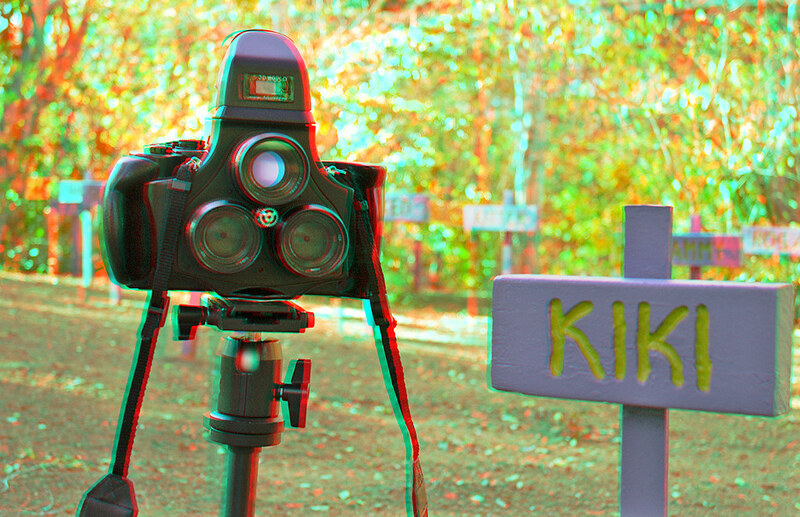 To make anaglyphs from slides taken with a 50s stereo camera is not too hard. 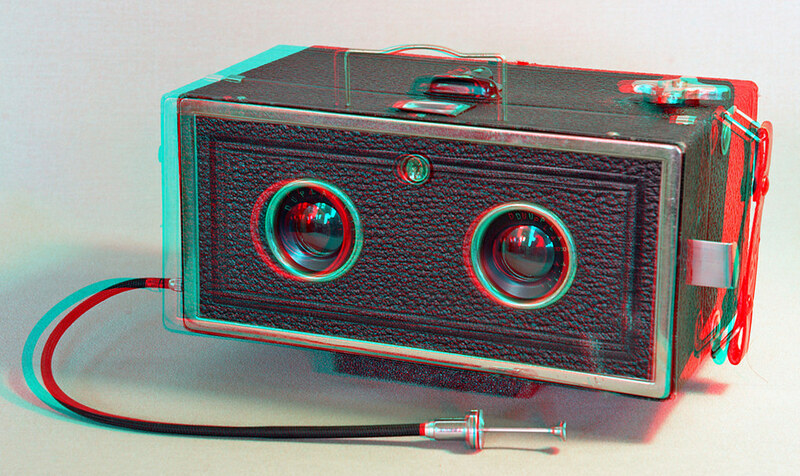 once the negatives have been developed (slide film E6), just scan them and use a software like “stereophoto maker” to align the pairs and make the anaglyphs. the only hard part is getting the film developed (i think fuji still does E6 processing but sooner or later it’s gonna disappear). nowadays, it’s much easier to use a stereo digital camera like the fujifilm real 3d w3.